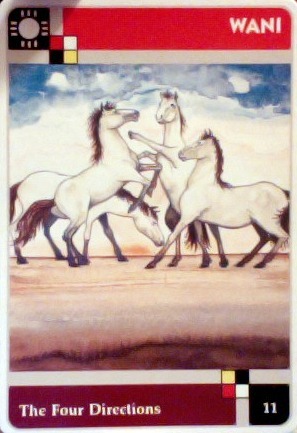 Today's Draw Classic*: Wani/The Four Directions from the Lakota Sweat Lodge Cards. If you died today, would you be dying without regrets about where you are now? Have you ever had a close call? If so, what did it teach you about life?